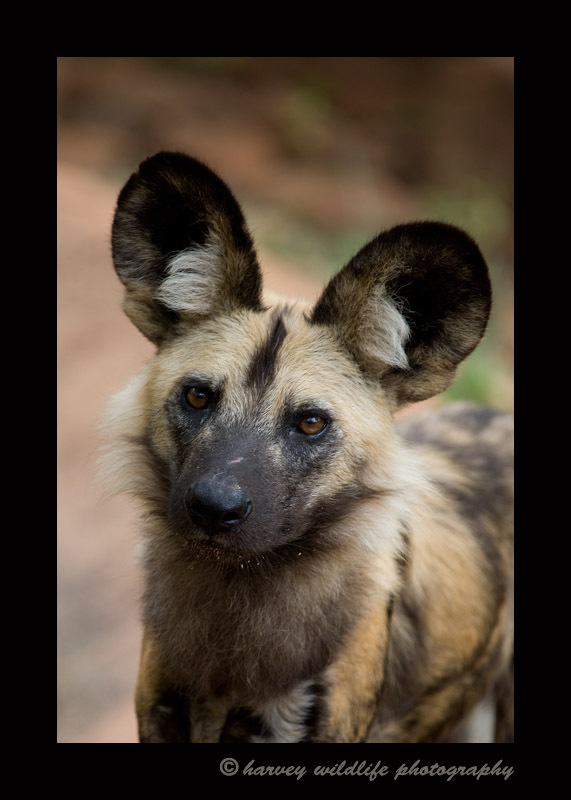 Wild Dog Portrait: Pictures of wild dogs and black backed jackals in Africa. Wild dogs are really interesting animals. They hunt in packs and have amazing endurance and are excellent hunters. They are interesting in that they whistle like birds rather than bark.